Happy Day 1 of 2012! I’m not one for goals. I don’t do resolutions anymore. Why? I don’t want to feel like an abject failure when I look back, 12 months from now, to see my goals and resolutions as I had originally set them, not yet crossed-off my list. I much prefer looking forward. So in that frame of mind, here’s what I’m looking forward to for 2012. I look forward to an active, healthy life and lifestyle. I look forward to writing, and publishing several books. I look forward to hearing the plays I wrote read aloud this year. I look forward to meeting new people and making new friends, whether in person or online; for I firmly believe you can never have too many friends. I look forward to opportunities to expand my knowledge – of myself, of writing, of the mysteries in the world. I look forward to celebrating my friends’ successes and to watching my sons spread their wings. I look forward to laughing, and reading, and watching the fire in my hearth. I look forward to another year of a deepening love, one I couldn’t have imagined 35 years ago. And I’m really looking forward to dealing with whatever life decides to dish out to me this year. Now, to begin my year on a solid note, I shall go for a jog. And when I return, I shall make healthy pancakes for the family. Happy New Year. Sending much love and many hugs from my home to yours. What are you looking forward to this year? This entry was posted in Life, Observations and tagged active, blog, books, coffee, demon soul, friends, goals, lifestyle, love, plays, resolutions, Wine, writing. Bookmark the permalink. I’m looking forward to a productive year of writing. I plan to complete at least two manuscripts for submissions. I already know I have a release date in March for a book so I’ll be planning promo. I look forward to a more consistent schedule at the gym. Happy New Year, Christine. Happy New Year, Brinda! Those are great things to look forward to. I’m looking forward to your new release! Here’s to flexibility, Robena! I’m back from my run and feel pretty good – so far. Now for those pancakes! Well put! Glad to consider you a friend. I’m off to be a passenger on hubbies motorcycle for a ride to malibu and anywhere else we darn well please! Me too! We need to get together soon for coffee my dear! Hope you had a great time on your ride! Savannah, I am wishing you much less stress this year, and much more fun stuff! Pam, I think I swiped this from another friend a year ago….so glad you’re on the bandwagon, too! Hugs and Happy New Year back atcha! I love your way of thinking. I’m looking forward to much of the same things. Janie – I think there are more of us out there – “non-resolutioners” – than we think. 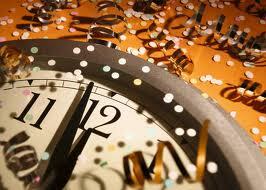 The people who make resolutions are just real loud about it in the blogosphere! Normally, I don’t do goals or resolutions either. This year is a little different although I am still not calling them goals or resolutions. This year I am making appointments with myself to write every day to establish a daily habit to honor me and my dream. This year I have made a commitment to myself to get back to exercising and to do it a minimum of six days a week. I am doing that to make sure that the next half of my life is lived to the utmost of my ability. I plan to live to at least 100, and I want to do it in the best physical shape that I can be in. Finally, I am going to take twenty minutes a day, 10 minutes in the morning and 10 minutes in the evening to quiet my mind and sit in contemplation. It seems like many things but the over all arching theme is that this year is about making the same commitments to me and my dreams that I make to everyone else. So here’s to a 2012 filled with making better choices and I am looking forward to all of it — even the exercise. Who knew? Maria, making an appointment with yourself is a wonderful way to remind yourself that you are important. I totally agree, too, about living the second half of life as healthily as possible – I’ve seen what age can do to those unprepared for it, and it’s not pretty. And I’d love to exercise with you! We’ll have to find a way, lol! I love your idea of looking forward – Cheers to a wonderful 2012 Christine! Your way of thinking is a hell of a lot better than having a measuring stick to beat yourself up with at the end of the year.